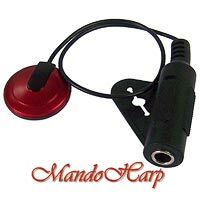 Adeline AD-20 Stick-On Piezo Transducer Pickup for Mandolin/Violin/Guitar/Ukulele	etc. 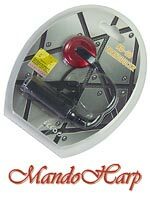 This unique pickup from Adeline sticks to the face of your instrument and provides a great quality sound pickup for your amplifier or straight into a P.A System. Pickup sticks to face of instrument. 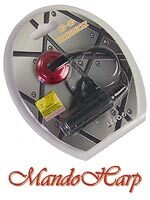 Phono jack should be attached to belt button/end pin, or attached to body with double-sided tape. 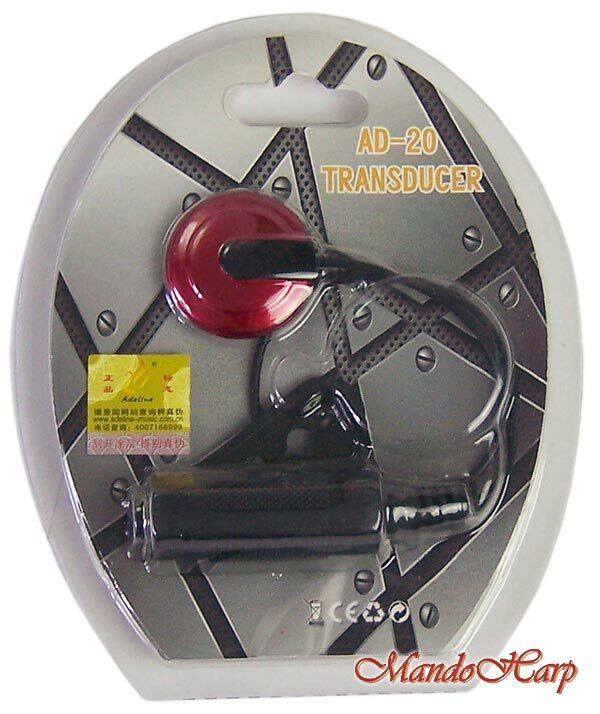 "AD-20 is a practical "Electronic Pickup" which beginners can use on guitar with simple attachment without any modification or damage. 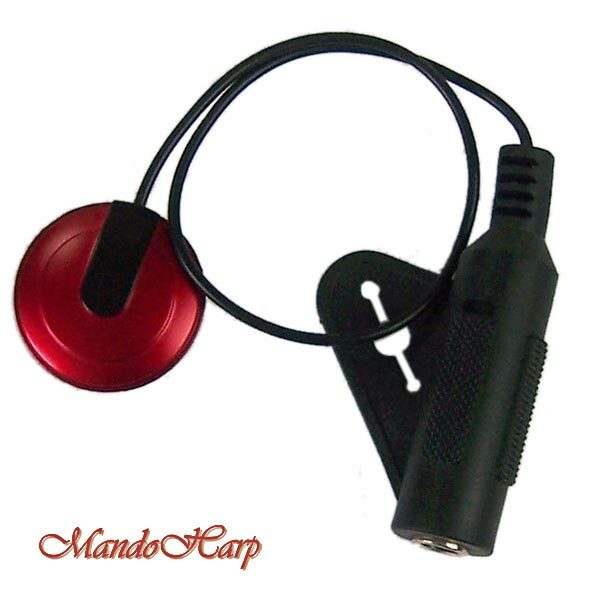 When you don't play it you can separate the electronic cord and keep it away from the body. 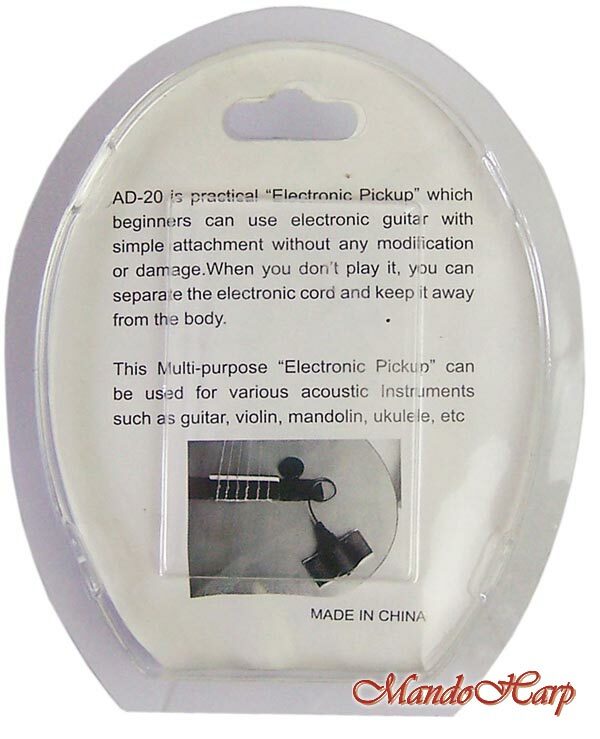 This Multi-purpose "Electronic Pickup" can be used for various acoustic instruments such as guitar, violin, mandolin, ukulele."